Alberta Premier Rachel Notley updates reporters on the progress of the Kinder Morgan pipeline on Wednesday. The Alberta government passed legislation Wednesday creating new powers to restrict fossil-fuel shipments outside the province, a law designed to allow it to inflict economic pain on B.C. over the Kinder Morgan pipeline dispute. “Albertans, British Columbians and all Canadians should understand that if the path forward for the pipeline through B.C. is not settled soon, I am ready and prepared to turn off the taps,” Premier Rachel Notley said Wednesday. “It could happen very quickly – it could happen in 24 hours,” Ms. Notley told reporters in Edmonton. B.C. Attorney-General David Eby promptly threatened legal action, saying the law – titled Preserving Canada’s Economic Prosperity Act – is “manifestly unconstitutional” and would also violate a string of trade agreements if it is used to restrict trade. The Act raises the prospect of driving already-soaring fuel prices higher in British Columbia. Brian Ahearn, vice-president in Western Canada for the Canadian Fuels Association, said up to 100,000 barrels per day of refined products including gasoline, diesel and jet fuel flow from Alberta to B.C. every day – by pipeline, rail and truck – making up 50 to 60 per cent of B.C.’s total refined fuel consumption. Mr. Eby sidestepped questions about the potential impact on gas prices if Alberta moves to reduce those shipments, saying that his government would seek an injunction to ensure trade isn’t restricted. British Columbia is calling on Alberta to refer the new law to the courts to rule on the constitutional question – as B.C. has done with its proposed law that would allow it to limit increased shipments of heavy oil. If Alberta refuses to refer the legislation for review, he said B.C. will seek to overturn the law in Alberta courts. The two provinces have been in an escalating political showdown over the expansion of the Trans Mountain pipeline to bring oil sands bitumen to the Pacific Coast. Ms. Notley’s government, backed by Ottawa, says the Trans Mountain expansion project is critical to the national economy. But the NDP government in B.C. says the project, which would triple the pipeline capacity and increase the number of oil tankers travelling along the coast, poses an unacceptable risk to the environment. The project is facing challenges in three levels of court from the B.C. government, environmental organizations, First Nations and municipal governments. While the Notley government said the law will give it more power to get the best prices for its resources, it is also a retaliatory trade measure aimed squarely at B.C. “With the B.C. 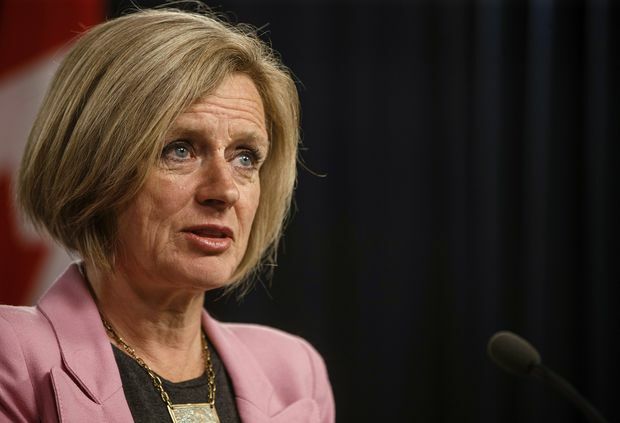 government seeking to limit what energy products can flow across provincial borders, Alberta has the right to make that decision for ourselves,” the Alberta Premier said. In downtown Calgary, energy leaders have expressed concerns about unintended consequences, but there is tentative support for the Notley government’s legislation. Oil producers and shippers say the Alberta government is abiding by its pledge to stay in close communication with companies, and has promised to minimize the financial impacts to the industry. “I hope the current situation is resolved and this bill never gets used,” said Tim McMillan, chief executive officer of the Canadian Association of Petroleum Producers, the main oil industry lobby group. The law, when proclaimed, will give Alberta’s Energy Minister Margaret McCuaig-Boyd the power to require that companies exporting energy products from Alberta get a licence – including for products such as crude oil, and refined fuels such as gasoline, diesel and jet fuel − that previously was not needed. Those licences could then be throttled back to reduce the amount of fuel being exported.